Our loyal readers of this weblog have probably been waiting for this moment for a very long time and I am proud to finally present to the world: the video’s of the ELCA festival 2012!! The festival was again a great success with many people attending. Besides the ELCA band (which is mainly composed of people from within our group), we had the honor that 3 other bands were performing: Ignoramus (where Cees-Jeroen is the lead singer), Three (where Wouter plays keys) and Rainbow (where June plays guitar). 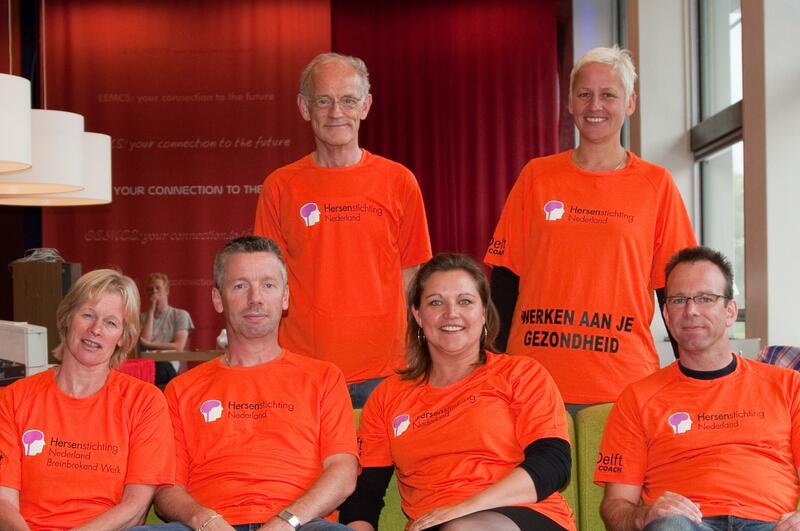 On June 2 (Hemelvaartdag) we go with seven people (you are right, one is missing on the picture) of TU Delft (BHV members and Gerard Meijer) to the Golden Ten Loop in Delft to run 10 kilometers for “De hersenstichting”, a charity foundation stimulating brain research and educating the public about it. As three of us had problems with our brain (one had a stroke, one had another brain problem and I had a complete brain check-up for my undefined kind of hyperventilation) it was a brainwave to run for this good cause. “De hersenstichting” takes care of a lot of research in all kind of brain damages, so therefore we ask you to be a sponsor of our running event. You can give cash money to Marion or send it to bank account 3532534 t.n.v. N.J.M. van Zon and mention "Golden Ten Loop – hersenstichting". In both cases you will sponsor the whole group. The orange shirts are from the hersenstichting and the health coach of the TU Delft sponsored the printing of the shirts with a TU Delft logo. Please be so kind to donate a small amount for this running event and maybe you can also be a supporter on June 2 at the start and finish place on the Burgwal in Delft. It will be a nice afternoon with a lot of people and a lot of music. Last friday a milestone was reached in the Biomedical Electronics Group: the first clinical experiments were conducted with the neurostimulator ‘uStim’ designed within the group! This neurostimulator allows the use of arbritrary waveforms for neural stimulation while still assuring safe stimulation by charge cancellation. After extensive electrical characterization of the device in the last couple of months the moment was finally there to test it in real life! Two subjects were implanted with percutaneous leads. 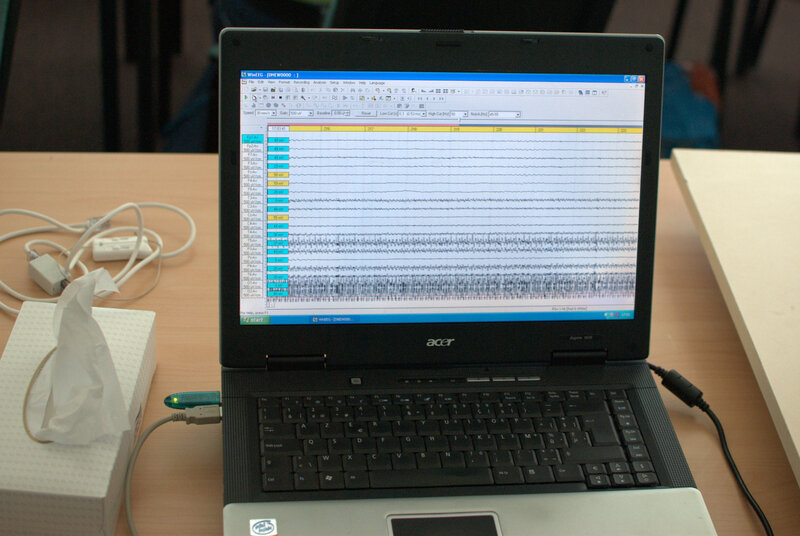 These leads were connected to the stimulator while the EEG activity of the subjects was closely monitored. The subjects were first stimulated using a commercially available stimulator (ANS – St. Jude Medical) and after that using the uStim. The first prelimenary results are promising. Both subjects showed clear responses in the EEG as a result of the stimulation pulses generated by our stimulator. The data will need further analysis in order to compare it to the commercially available stimulators, but at least it is possible to conclude that the stimulator is able to generate arbritrary stimulation pulses in a safe manner. It was a great moment for the researchers to see their work in real action! We are looking forward to working on the next version of uStim! All activity is closely monitored. Finally proven: blogging is good! During the short time that this blog has been up and running, I always enjoyed it a lot to read the contributions from others, as well as writing a few humble pieces myself. Today I was very happy to read that blogging is not only fun, but apparently also good for the productivity! In this paper researchers show that keeping a blog within a company actually works in a beneficial way for the productiveness of the employees. The fact that we think that science is fun might not come as a surprise anymore if you have been following this blog lately. But besides fun, science can also be very tasty. Last saturday the Biomedical Group gathered around a very tasty Chinese dinner (very well prepared by a few of our students). The dessert was very much in the spirit of our group: a brain-shaped pudding. 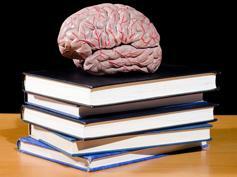 Being familiar with brains, everybody proceeded with great enthousiasm to study it. For all of us it must have been the first brain surgery we ever did. And something tells us that it might not have been the last time! The brain is an amazing thing. That mysterious little jelly pudding up there in your head has an unsurpassed computing power that we all use everyday to at least some extent. 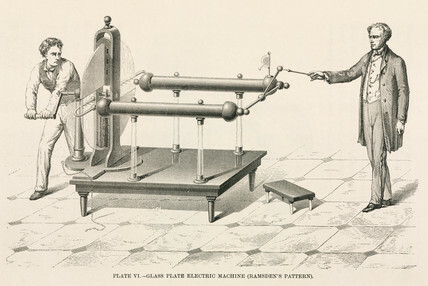 Humans have always been amazed by the brain and there has been a strong trend throughout history to build machines which can take over some of that computing power. From the first electronic computer Colossus (using 1500 vacuum tubes and used to crack the Enigma code during World War II) until recently the IBM Watson: a computer which is able to understand natural questions, which can perform reasoning based on a huge amount of information stored in its memory and can come up with the correct answer. And all that within 3 seconds. Watson consists of 90 IBM Power 750 servers, 15 Terabytes of RAM, 2880 processor cores and can operate at 80 teraflops. Very impressive specifications. A couple of days ago Watson competed in a Jeopardy! game against two humans and he managed to win quite impressively (although he made one quite shameful mistake). So does that mean that a bunch (ok, quite a big bunch) of processors can immitate the human brain? Well, to some degree it has proven it can. But the brain can do a lot more than understanding and answering questions. And besides functionality there is another factor, just like Dr. Bernard S. Meyerson, IBM’s vice president for innovation, mentioned: "The fact is that a human being is impossible to beat right now, in the sense of power efficiency, because you’ve got this little 20-watt thing, the brain, going up against many kilowatts." So does this fact mean all the efforts made by the researchers are in vain? Definitely not, of course. It just means that we will have to keep using our little 20 watt miracle in order to come up with even smarter machines!